Miguel, Miguel, Miguel. I was talking to a homeboy this week who eloquently said, when asked his thoughts on the cat-eyed crooner from Southern California, “I’ve already seen Prince!” After laughing, I started thinking between Stevie Wonder and Prince, each soul man’s musical style has become a genre of R&B and pop music in itself if you really analyze contemporary music. Remember Justin Timberlake’s debut solo album Justified that seemed to take its cues from Stevie? And what about Alicia Keys’s mid-soap opera album As I Am where it seemed like between the piano notes, whispered vocals and Common dying in that video that Mr. Nelson was lurking somewhere in the background? That said, all these comparisons between Prince and Miguel just fall flat to me. I see that Miguel is petite, can seem ambi-sexual and gives mean face—though when I interviewed him, and asked if he practices his “look” and he said no; I don’t believe him—but he’s not the second coming of Prince, ya’ll. No one or can ever be. Although the black and white scene is this “Do Yo” video is giving me Michael Jackson’s “Keep It in the Closet.” Just me? ps. 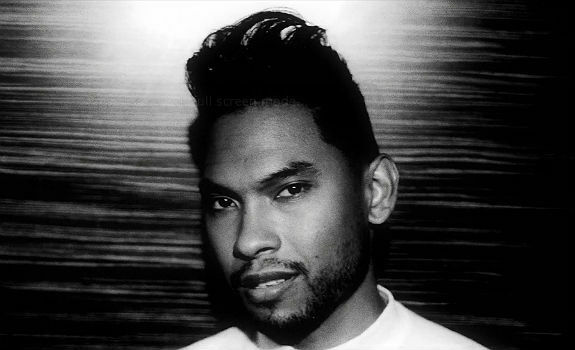 Although, now that I think about it Miguel’s “Do You” lyrics do say that he wants to “Do you like drugs,” which reminds me of Prince’s track “Shhh” that he wrote for Tevin Campbell saying “I want to do you after school like some homework.” LOL, I mean … ?